Time to go thrift store diving for the worst of the worst! The legendary UGLY CHRISTMAS SWEATER! 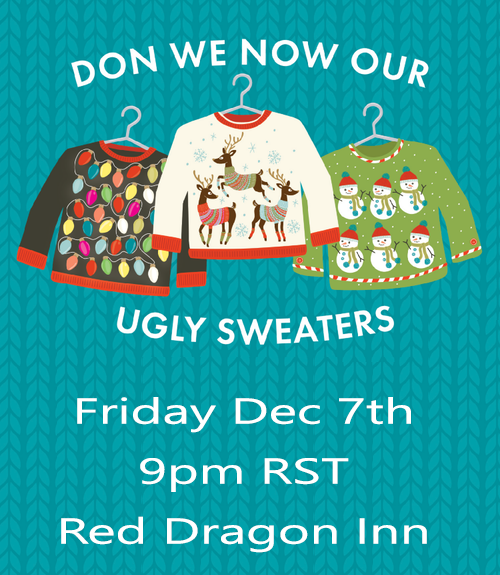 Don it if you dare, but only sweaters worn will count in this contest of woolly might. No bringing it on a hanger to hide your shame.